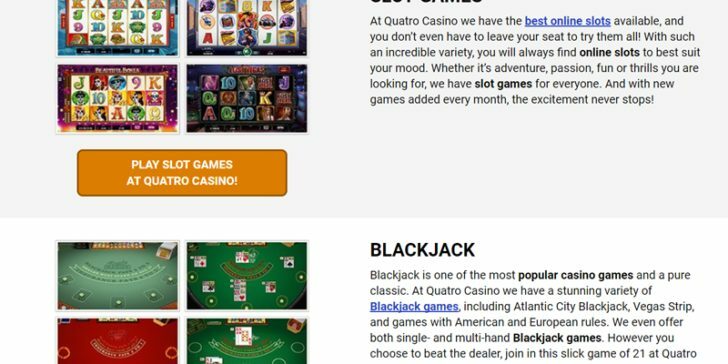 Quatro Casino is one of many online casinos owned and operated by Casino Rewards group. The casino offers an impressive collection of 450 thrilling games, with new additions being made every month. Enjoy casino slots, card games, video poker, table games and countless other games, all offering high-quality graphics courtesy of Microgaming’s Viper software. Every category of games is well represented there, including over two dozen games with Progressive Jackpots! To help new players get started, Quatro Casino is offering a fantastic welcome bonus offer. 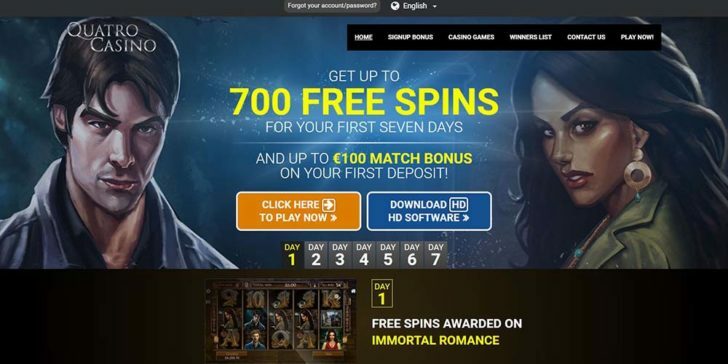 On registration of a new account players will get a 100% up to $100 first deposit bonus and 100 free spins per day throughout a week. A lot more is happening behind the scenes in the casino’s popular Casino Rewards loyalty program.